That is why it is so important that every NOM supporter who can possibly manage it make a generous contribution in the next 36 hours. Every dollar raised until we hit our goal will be matched dollar for dollar, doubling the impact of your gift. Will you step forward today with a gift of $25 or more, knowing that your entire donation will be immediately doubled during these final 36 hours of the Spring Matching Campaign? If you can give more than $25 we would be thrilled, but whatever you amount you contribute, please do so today. I am very excited to be in Washington, DC tomorrow for this year's critically-important March for Marriage. We are expecting an enthusiastic and diverse crowd of marriage supporters who will be there to demonstrate that the American people continue to support marriage as the union of one man and one woman. That's a message the US Supreme Court needs to hear, as does the Trump administration and Congress as they consider religious liberty protections to protect people of faith from discrimination because of their views about marriage, life, gender and similar issues. 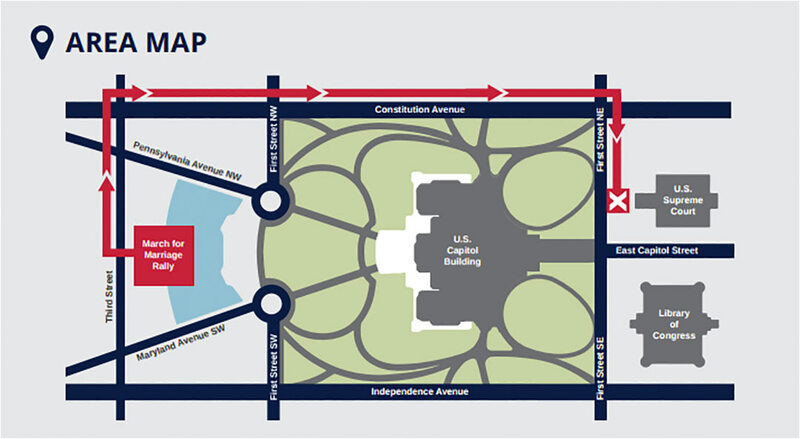 If you are able to be with us in Washington tomorrow, please check out the Marriage March website here. You'll find a schedule, map and route information. But whether you can join us for the March or not, I hope you will take advantage of the remaining 36 hours to make a financial contribution that will literally immediately double in size. Please don't let even a single dollar of the match go unclaimed. We're counting on loyal NOM supporters like you to help us fully capitalize on the tremendous opportunity provided by the Spring Matching Campaign. Marriage Supporter — Most likely, you are familiar with our major national initiatives — the March for Marriage, our successful work to repeal President Obama's illegal transgender bathroom rules, our fight for religious liberty, the #FreeSpeechBusTour in support of gender sanity, our work to confirm Neil Gorsuch to the US Supreme Court, etc. But you may not be aware of smaller, more localized battles where we are asked for help in places like Minnesota, Maryland, Georgia, Indiana, Houston and many other locales. Whether national or local, our ability to carry out these battles during the balance of the year all hinges on how successful we are in the next 72 hours when the Spring Matching Campaign comes to an end. We need to raise more than $18,000 in the next 72 hours to hit our goal. Every donation through Saturday will be matched, dollar for dollar. 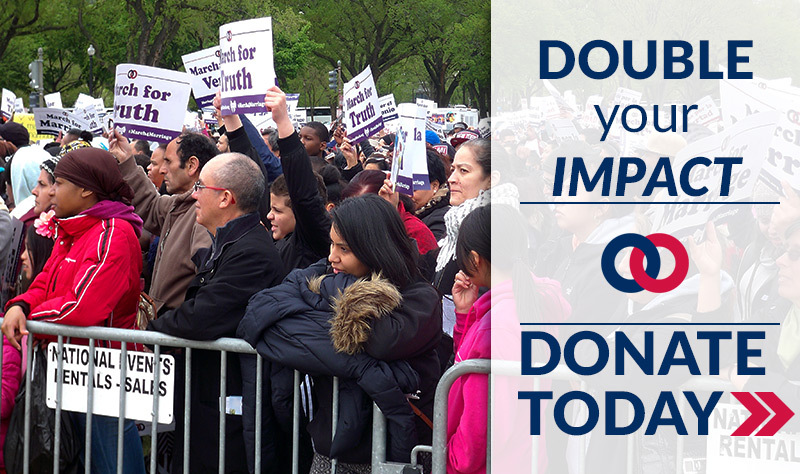 We need 200 heroes to step forward today with a gift of $25 or more — will you be one of them? Your entire donation will be immediately doubled during these final 72 hours of the Spring Matching Campaign. If you can give more than $25, that would be awesome, but whatever amount you contribute, please do so today. As examples of the important regional, localized battles that we regularly undertake, we are currently working in Minnesota and Maryland at the request of local and state allies. In Minnesota, we're supporting the Minnesota Family Council and Hands Across the Aisle Coalition to stop the Minnesota Department of Education from adopting a "Transgender Toolkit" for public schools that will result in boys being able to access intimate areas reserved for girls such as showers, locker rooms, bath rooms and girls' sleeping quarters on overnight trips. In Maryland, we have launched a petition asking citizens to push back against the Frederick County School Board which is attempting to institute a policy that schools must accede to the demands of so-called transgender students "without question." Under this policy, a male who wants to take advantage of young girls by exposing himself in the girls' showers must be allowed to do so without question. What insanity! One of the great blessings of being a large national grassroots organization with supporters across the country is that we can influence policy at the national level, and also at the local level. But our ability to be effective is dependent on us having the resources to get engaged. Right now as I look at the balance of the year, we don't have the funds to be able to effectively fight these battles, not to mention our major national initiatives like the upcoming March for Marriage on Saturday. We need to raise $18,000 in the next 72 hours to stay on track and avoid cutting important elements of our work. That's why we're counting on marriage heroes — many of whom have already contributed to us in recent weeks — to step forward at this critical time with a contribution of at least $25. It's a lot to ask, I know, but these next 72 hours are critical. Please be one of the 200 people we need to step up today with a contribution of $25 or more. Thank you for your consideration. Marriage Supporter — There are just five days left until the critically-important March for Marriage and the end of our Spring Matching Campaign, and we're behind. We've got five days to raise $25,724 to save the March, and save the momentum we've built in pursuit of our entire agenda. We have so much riding on these next five days. Will you step up to help? Whatever amount you can contribute will be instantly doubled by a generous supporter during these final days of the Spring Matching Campaign. It's important that we succeed to send a message to the Trump administration that the American people continue to support marriage as the union of one man and one woman, and strengthen our ongoing efforts to convince the administration to issue strong rules protecting marriage supporters from discrimination. Without these rules, individuals, pastors, churches, religious groups, faith-based schools and small businesses will continue to be at risk of being targeted for punishment by the government for failing to pledge allegiance to the radical agenda of LGBT extremists and the left. It's imperative that we raise $25,724 in the next five days. The success of the March for Marriage depends on it. The protection of marriage supporters depends on it. Our fight for religious liberty and the truth of gender depend on it. Our work to educate Americans on the issues through videos, pamphlets, electronic communications and other means depends on it. Our ability to spring into immediate action in support of the next pro-marriage Supreme Court nominee depends on it. We have five days left to save this. Will you stand with us at this critical time? Please prayerfully consider what you can contribute and then act today, realizing that your donation will be immediately matched dollar for dollar. Marriage Supporter — Our dedicated team at NOM is working overtime with all the projects we have underway. 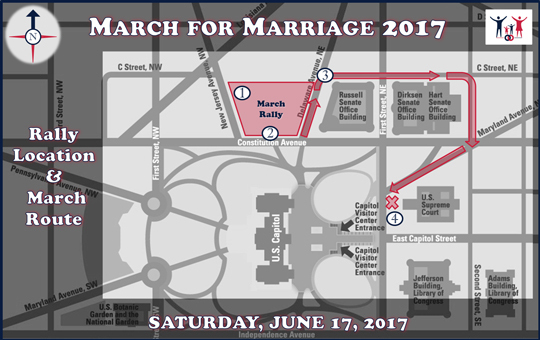 One of the most important things we are working on is the upcoming 2017 March for Marriage on June 17th in Washington, DC. This is a critical annual event to keep the fight to restore marriage in the public eye, and has taken on added significance this year with the failure of President Trump to issue an Executive Order protecting the religious liberty rights of marriage supporters, and instead punting the issue to the Department of Justice to develop those rules. I have to be honest about this challenge – we have a ton of work ahead of us not only to organize the March for Marriage, but also to launch a comprehensive plan demanding religious liberty protections, and our resources are extremely low. We expended every available dollar in the fight to confirm Neil Gorsuch and in the promotion of the highly-successful #FreeSpeechBus tour. Now we must immediately replenish our resources for the March for Marriage and the continuing fight for religious liberty. Will you act today with an immediate financial contribution so that we have the funds we need to execute these projects? Fortunately, our Spring Matching Fund campaign is underway through the end of May, so every donation we receive will be matched dollar for dollar by a generous supporter. I'm asking you to make a generous donation today so that we can proceed with what needs to be done knowing that we will have the resources needed to be successful. Can I count on you? I'll donate $15, which will be matched to help with the upcoming March for Marriage and the fight for religious liberty. I'll donate $25, which will be matched to help with the upcoming March for Marriage and the fight for religious liberty. I'll donate $50, which will be matched to help with the upcoming March for Marriage and the fight for religious liberty. I'll donate $100, which will be matched to help with the upcoming March for Marriage and the fight for religious liberty. I'll donate $250, which will be matched to help with the upcoming March for Marriage and the fight for religious liberty. I'll donate $500, which will be matched to help with the upcoming March for Marriage and the fight for religious liberty. I'll donate $1,000 or more, which will be matched to help with the upcoming March for Marriage and the fight for religious liberty. NOM has remained in the trenches fighting for marriage, and we will not rest until marriage is restored to our nation's laws and the anti-constitutional Obergefell gay 'marriage' ruling is reversed. The appointment of Justice Neil Gorsuch is a great first step. Now we likely need just one justice from the majority ruling in Obergefell to retire so we can be in a position to reverse that ruling. In the meantime, we must secure legal protections for all Americans who believe in the truth of marriage, gender and the sanctity of life. Organizing a major event like the March for Marriage is an enormous undertaking, one that requires the expenditure of tremendous financial and personnel resources. I am asking you to act today with an urgent financial contribution to help us undertake this critical project. There's a part of me that wishes we could slow down a bit after the frenetic pace we have endured thus far this year. But I realize that God would not bless us with so many opportunities if He was not going to allow us to be successful. I trust in Him, and I trust in you and our other strong members that the financial resources we need will become available to make the 2017 March for Marriage a success and to continue our campaign for religious liberty. Whatever amount you can give, please act today. Remember, every contribution will be doubled thanks to a matching gift from a generous donor. Marriage Supporter — I'm writing to ask for your help with the upcoming 2017 March for Marriage, which is scheduled for Saturday, June 17th in Washington, DC! The March for Marriage has always been an important event to keep the fight to restore marriage in the public eye, but it takes on even greater importance this year with the new Trump administration taking office and the potential for more vacancies on the US Supreme Court expected that could give us the opportunity to restore true marriage to our nation's laws. Putting on a major event like the March for Marriage is an enormous undertaking, one that requires the expenditure of tremendous financial and personnel resources. I am asking you to act today with an urgent financial contribution to help us undertake this critical project. 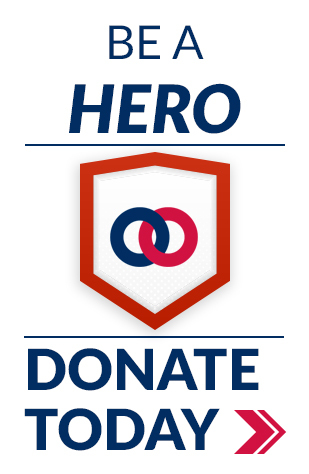 Every donation you make during the month of May will be matched, dollar for dollar by a generous donor, up to a total match of $100,000 Will you help us today? This is a time of great opportunities and also great challenges. I'm counting on your help, and that of many of our other strong supporters. Whatever amount you can give, please act today. Thank you for all you've done to support marriage.